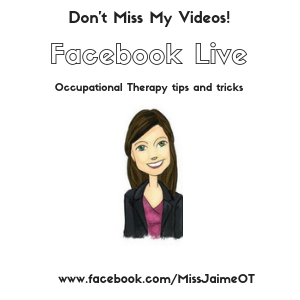 Advice for School Occupational Therapy Practitioners from an "Old OT"
I left that agency very soon to get a district job, but I am forever grateful to my first mentor, Diane Fine, Occupational Therapy Extraordinaire. Twenty years later, Diane still works for that agency in that building and has generously offered to share her experiences and advice to new school OTs in the field. I am an old OT. I don’t know when that happened. I mean, I don’t feel like an old OT and I don’t look the way I think old OTs are supposed to look. Certainly not like the old OT that was supervisor on my first clinical affiliation. Now that was an old OT (although she was most likely younger than I am today). She was cranky and mean and told me I would never contribute much to our profession. She knew “my kind,” she said. Young, pretty, newly married to a doctor. “You won’t work much,” she said. Well, here I am today. No longer young and pretty and certainly no longer married to that doctor. But I have been a working O.T. for 39 years and counting. 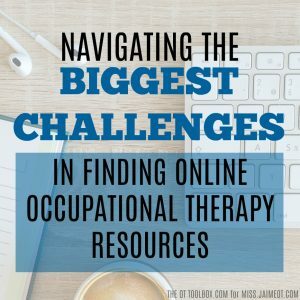 So being an “old OT”, I have the ability to reflect on my past experiences as well as my present practice with a certain degree of wisdom that can only come from years and years of work in this field. 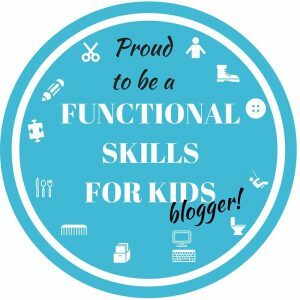 For the past 22 years, I have been a contracting occupational therapist in a public school district on Long Island. I came to this purely by accident. 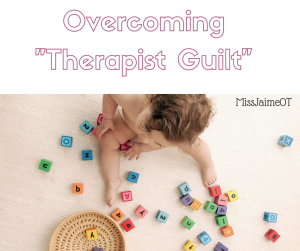 I had been working in adult rehab in an outpatient clinic. The hours were long and the vacations few. I had three children. My youngest was three. I wanted the opportunity to choose my days and hours and have off when my kids’ schools were closed. So I answered an ad in the newspaper (see how old I am? No internet search) and thus began my life as a contract therapist. I came from a medical model. As far as I was concerned, I was bringing this frame of reference into the schools. I had no idea how my “treatments” were going to enhance the student’s academic success. Over the years, with the help of some wonderful teachers I’ve had the pleasure of working with, I began to learn how to combine my knowledge of neurodevelopment with the goals of the education model. Classroom teachers and I would talk briefly between sessions or in the hallways. They would tell me about their student’s difficulties, such as their behaviors in class. 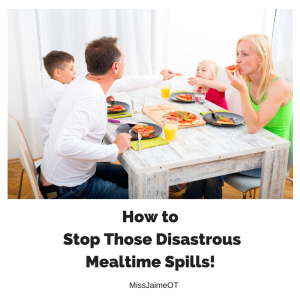 I would share with them possible explanations and solutions. This became a collaborative effort that benefitted the classroom teachers and more importantly, their students. Being a contractor for over two decades was not my initial intention. The years sort of snuck up on me. I enjoyed the independence. I determined my treatment plans and techniques. No one was looking over my shoulder in that area. 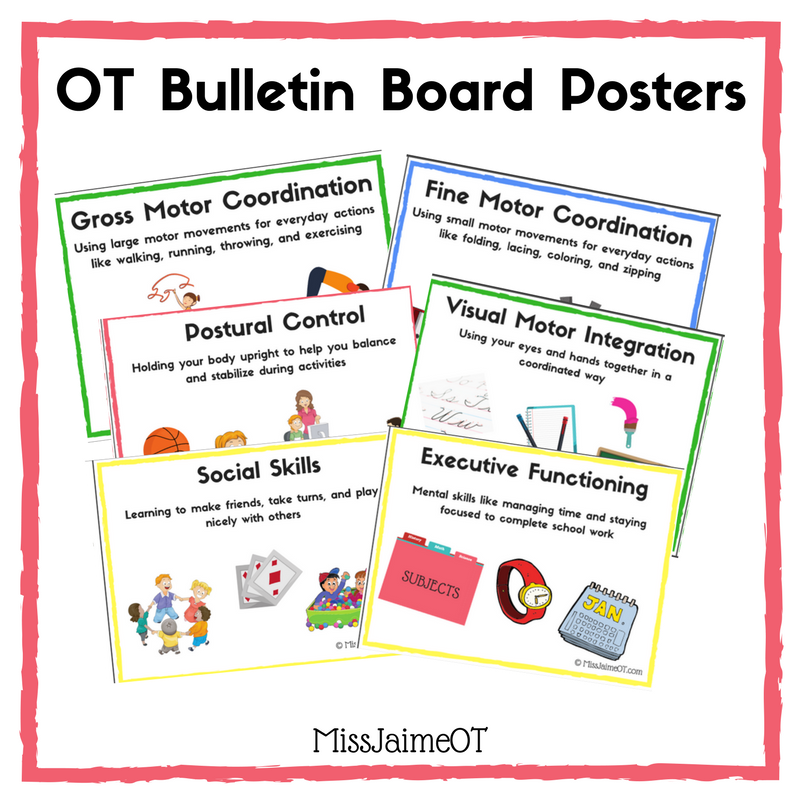 I’ve had the pleasure of working with some very talented OTs and PTs over the years. I like to think they were able to learn from my expertise as I know I have from theirs. Many times there was just me. No department, no union, no peers. I have spent 22 years in one district – mostly in one school. Now that I am nearing retirement, I have no pension. I am still getting almost the exact same fee for service I got in 1997. I knew about this all along and still decided to stay, but I would not advise this as a model to follow. I often tell my younger peers not to stay with the agency for too long. “Get out while you can”, I half joke. So what happens as a result? A lot of unpaid time I spend tending to these student’s needs. I’m in a difficult position. I want to collaborate with the teachers and ultimately help these kids learn. But my time as an experienced professional is worth something. 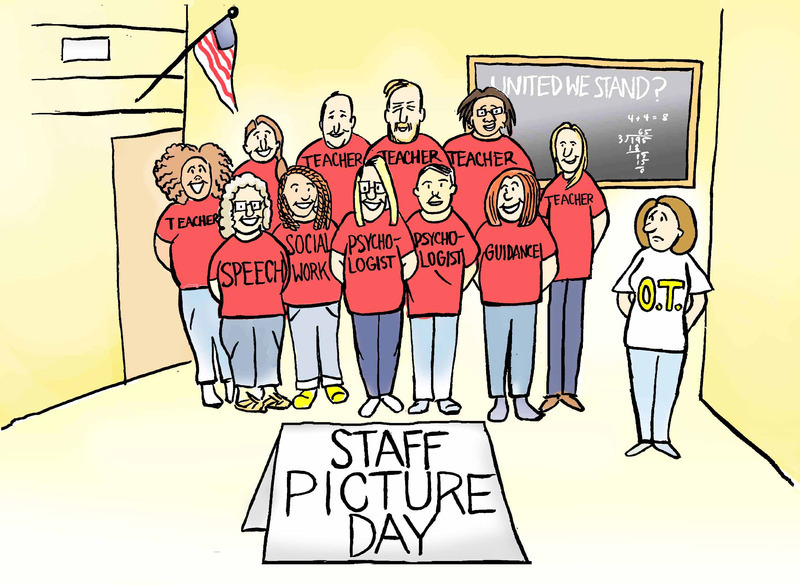 As an aside, this year the principal decided to place every teacher and teacher assistant’s photo outside their classroom. The other OT, PT and I were never photographed. Exactly! We are not on “the list”, or the email chain or in the secret santa group or the super bowl pool. Even though I have been at that school longer than almost every other staff member. Now if I can be this detached after 22 years in one school, imagine how a contracting therapist traveling to multiple schools in multiple districts feels. More important than feelings, however, is the difficulty this poses for those therapists that need to collaborate with the educational team. Public schools today are filled with students who have varying degrees of learning and physical disabilities. 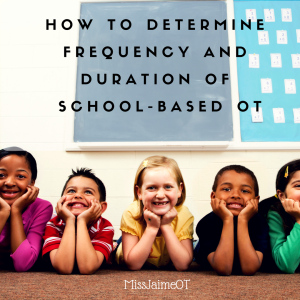 OTs are the unique professionals who have the educational background to help teachers understand and approach these challenges in a way that can help kids do their job – get educated. It has taken me over 20 years of sharing my knowledge and clinical expertise with the educators in my school. I know I am respected and trusted by the teachers I work with. However, I know that as a contractor who is not employed by the district, I am considered an outsider in many ways. I have to ask to be invited to team meetings concerning student’s IEPs. I’m expected to put forth work without being compensated – It’s part of the territory when navigating this position. I’m not ready to quit yet. This old OT may have a few more years in her. But it’s up to you younger therapists to continue to educate the educators and administrators so that they understand the vital role we play in the successes of our students. Miss Jaime, O.T. : I am so honored that Diane, my first mentor, shared her wisdom and experience with my readers. 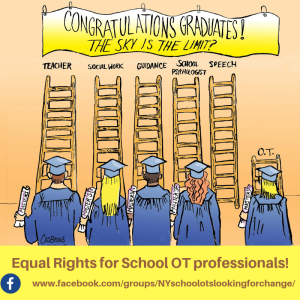 I have been advocating for equal rights for Occupational Therapists within New York state. Because what’s been going on for so long JUST ISN’T right. 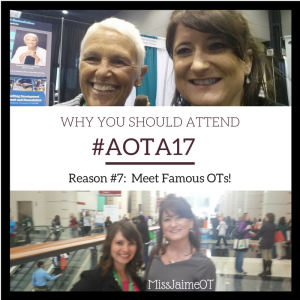 If you’d like to learn more about advocating for OTs, click here! 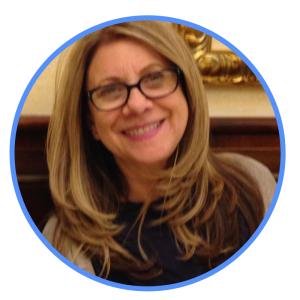 Diane Fine is an occupational therapist with 38 years experience as a clinician. She is a graduate of New York University. Diane began her professional career in inpatient adult rehabilitation with rotations on stroke, spinal cord, and cardiac units. She then worked in a private physiatrist practice specializing in hand injuries. Following this, Mrs. Fine worked in an outpatient adult rehabilitation center where she was the student clinical coordinator. 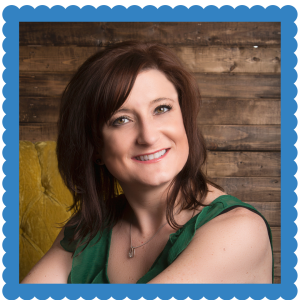 For the past two decades, she has been working in the public school setting as a contracting therapist in Long Island, NY.